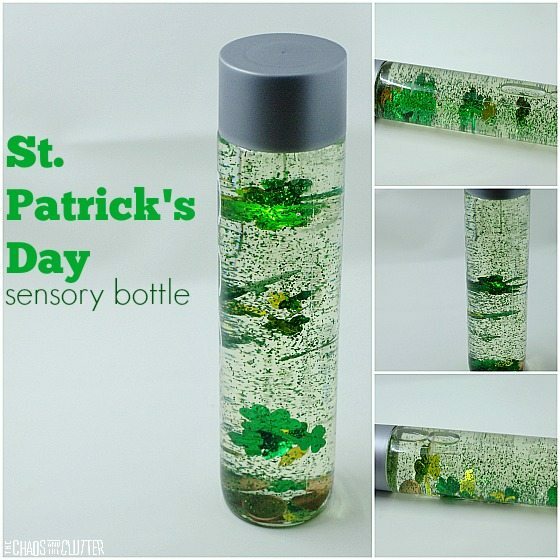 After the ease of creating our St. Patrick’s Day sensory bottle, I decided to make this St. Patrick’s Day sensory bag using some of the leftover supplies for my kids to enjoy. 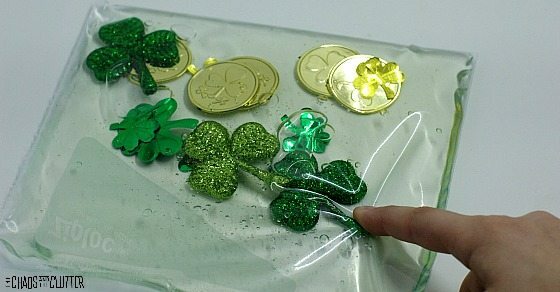 For my sensory bags, I use the medium size freezer bags because they are slightly larger and much more durable than sandwich baggies. 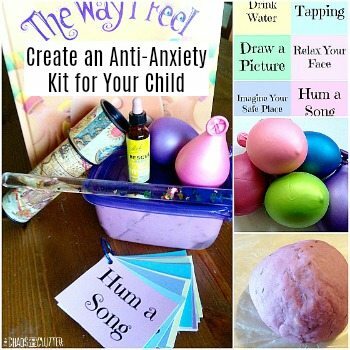 Fill the bag with the hand sanitizer and then place the other items inside. 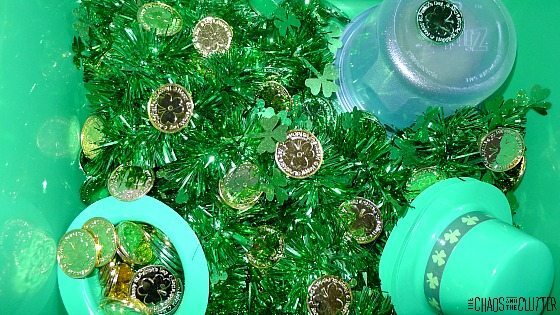 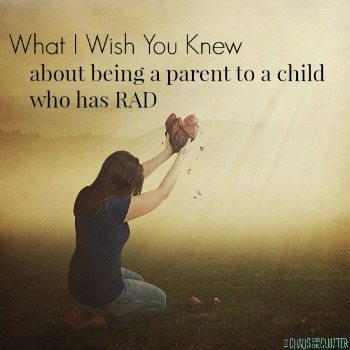 You could also add other green items or a plastic rainbow. 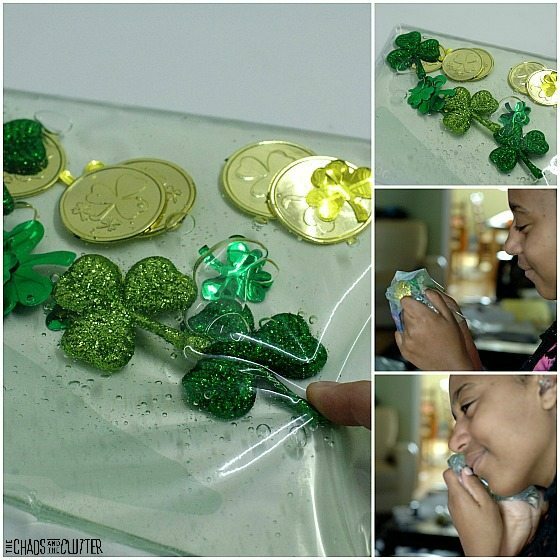 Remove excess air and seal the bag. 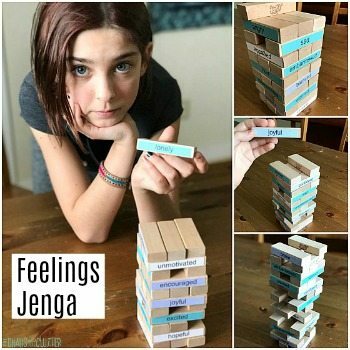 If you are making this for younger children, I would suggest adding clear packing tape over the opening so that they don’t open it. 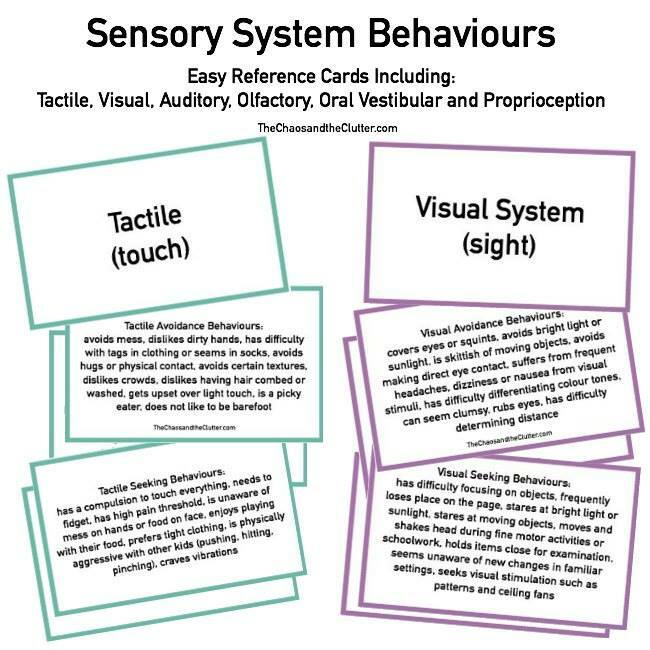 Sensory bags are a great way to explore through touch and sight. 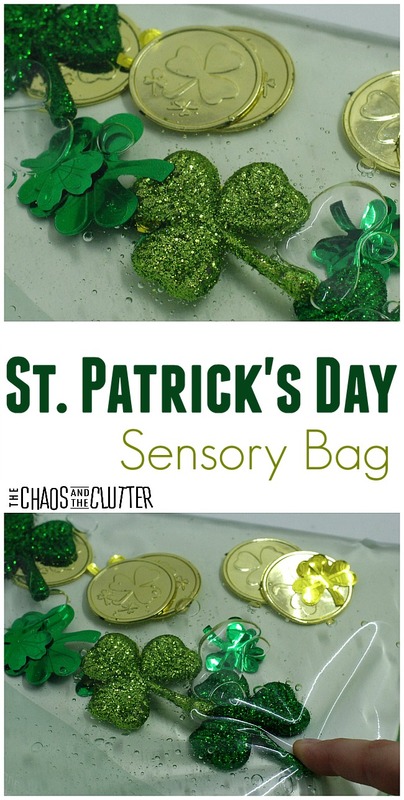 They are a simple sensory activity without the potential mess of a sensory bin.